“Your horse is a mirror to your soul, and sometimes you may not like what you see. 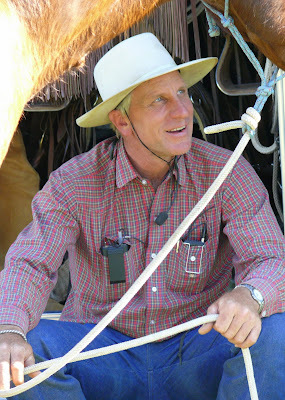 Sometimes, you will.” So says Buck Brannaman, a true American cowboy and sage on horseback who travels the country for nine grueling months a year helping horses with people problems. BUCK, a richly textured and visually stunning film, follows Brannaman from his abusive childhood to his phenomenally successful approach to horses. A real-life “horse-whisperer”, he eschews the violence of his upbringing and teaches people to communicate with their horses through leadership and sensitivity, not punishment. Buck possesses near magical abilities as he dramatically transforms horses – and people – with his understanding, compassion and respect. In this film, the animal-human relationship becomes a metaphor for facing the daily challenges of life. A truly American story about an unsung hero, BUCK is about an ordinary man who has made an extraordinary life despite tremendous odds. Buck Brannaman will be surprising guests Friday night as he will make guest appearances at Angelika Film Centers Dallas and Plano. After the 5pm screening and 7:30pm screening he will be hosting a Q&A. Tickets: Tickets can be bought online or at the theater.